Selena’s full name is Selena Marie Gomez. She is an only child and was born in Grand Prairie. Texas on July 22, 1992. Selena is an only child. Her mother gave birth to her at the age of 16. 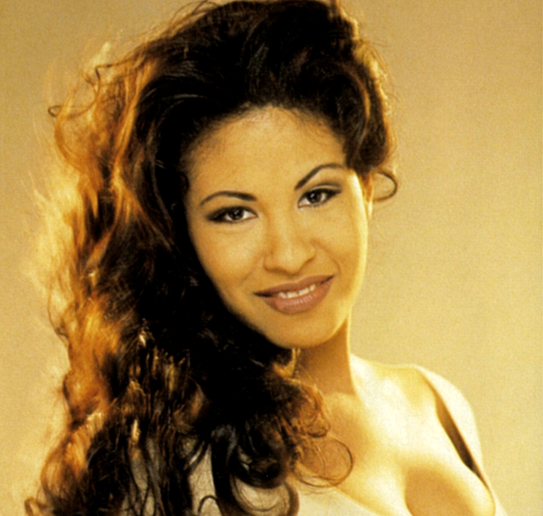 Gomez was named after Selena, the famous Tejano singer who died three years after she was born. Her name ‘Selena’ means Moon in Greek. Selena is of Mexican and Italian descent. She got her elementary education from Danny Jones Middle School located in Texas. Selena’s favourite color is green. Some of her nicknames include: Sel, Selly, Selenita and Conchita. The first concert she ever attended was a Britney Spears show. She recalled, "I just remember it being the highlight of my life! I felt like I was on cloud nine!" Selena made her television debut at age 7, on Barney and Friends, where she met her best friend, Demi Lovato. She loves eating pizza crust - it's her favorite part of the pizza. Gomez admitted she wasn't a fan of magic nor the "Harry Potter" franchise. She said this before she got her big break in "The Wizards of Waverly Place." In October 2008, Gomez launched her own production company, July Moon Productions, and partnered with XYZ Films. Her feature on Forever the Sickest Kids' song "Woah Oh! (Me vs. Everyone)" in 2009 was her musical debut. Selena cancelled her tour in 2013 because she is battling Lupus, an autoimmune disease that attacks your tissues and organs, leaving you tired, depressed and achy. Gomez says some of her singing idols include Bruno Mars, Britney Spears, Rihanna, and Skrillex. For her 2011 music video "Love You Like a Love Song", Gomez had horses spray-painted pink. This led to accusations from PETA and singer Pink about the treatment of the animals. Before starring in her first lead role as Alex Russo on Disney Channel's "The Wizards of Waverly Place," Gomez appeared on "Hannah Montana." She played Mikayla, Hannah's pop star rival. Even though lemons are bitter as they are, Selena likes to eat them whole and even adds salt to them. She owns five rescue dogs. Their names are Baylor, Chip, Willy, Fina and Wallace. Selena Gomez is a huge fan of Cheryl Cole and wishes to record a duet with her. Selena’s favorite movie genre is horror. Selena had her first kiss when she was 12 years old with Dylan Sprouse. Selena Gomez protects her voice by drinking olive oil! Gomez is good friends with fellow pop singer Taylor Swift. Selena used to wear a purity ring that said “true love waits,” but it has since disappeared from her finger once she started dating Justin Bieber. She was the voice of Steve Carrell’s daughter in Horton Hears a Who, but she never got to meet him. She was the voice of all 90 of the Mayor’s daughters in the movie. Selena likes hip-hop and punk music. In 2009, Gomez actually became the youngest UNICEF Ambassador in the history of the organization. Her shoe size is 7. She has a half-sister named Gracie Elliot Teefey who was born June 12, 2013. Selena’s favourite fruit is mango. She confesses that she’s a shopaholic and loves buying clothes. Selena is an avid surfer and skater. Selena’s clothing line “Dream Out Loud” launched on July 15, 2010. In 2011, Gomez and teenage pop star Justin Bieber confirmed they were an item. The couple was dubbed "Jelena" by the media, and were noted as being a teen power couple. They made their first public appearance at the Vanity Fair Oscar party in February of 2011. Justin Bieber booked the entire Staples Center in L.A. for a screening of the movie Titanic... just for the two of them, in 2011. The couple have been on and off. They broke up in 2013, but recent media reports from TMZ (January 8, 2014) say the couple were spotted camping suggesting they might still be an item. Selena’s net worth is reported to be around $10 million. She won the MTV Video Music Award in the category Best Pop Video for "Come and Get It" in 2013. She has worked with the charity called 'Raise Hope for Congo' which helps raise awareness about the violence against Congolese women.